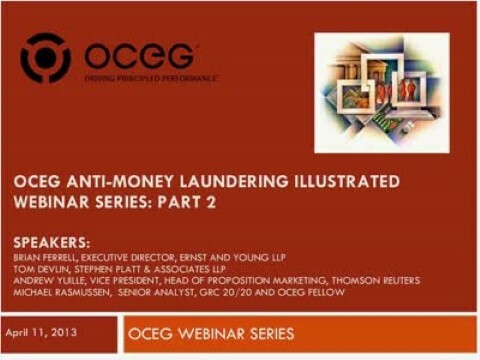 This second installment OCEG ‘s Anti-Money Laundering Illustrated Series addresses the design of an effective business risk assessment program. 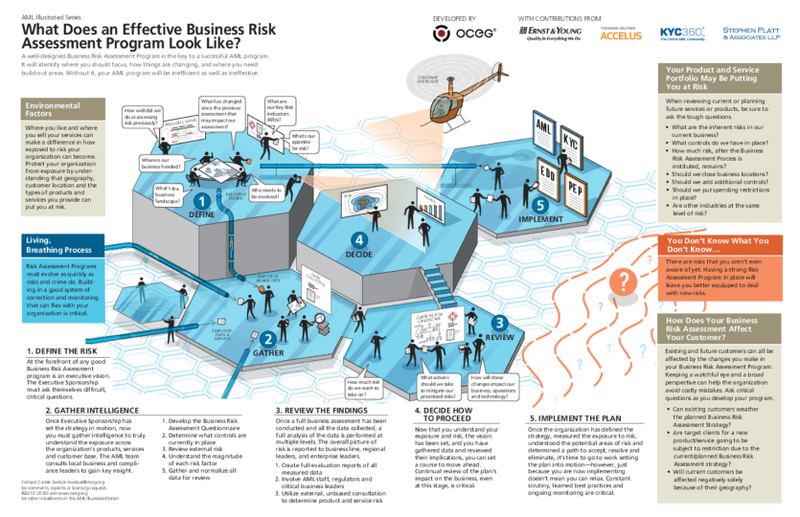 A well-designed business risk assessment program identifies where you should focus, how things are changing, and where you need build-out areas to protect your organization from money laundering risk. We have emailed instructions to access Illustration – AML Series #2 – What Does An Effective Business Risk Assessment Program Look Like to . Make sure the email arrives in your inbox: either add "support@oceg.org" as a safe sender to your email platform, or if you use Gmail, drag our email into your Primary tab.